As a cable TV subscriber in Central PA during the ‘80s, we were a household that received WPIX out of New York City. Two holiday traditions that I still hold to this day are directly related to watching that channel as a kid. The first is watching Laurel and Hardy’s March of the Wooden Soldiers (aka Babes in Toyland) on Thanksgiving Day. Since moving to the South many years ago, I usually had to dust off my VHS copy (now DVD) each year to hold the turkey day tradition. The second tradition is seamlessly intertwined with my memories of opening presents on Christmas morning: watching the WPIX Yule Log. Granted, turning on the TV was never my first priority when I woke up, but its warm cathode ray glow and classical Christmas accompaniment always seemed to find me among the mountains of wrapping paper. And even though it seemed silly to me as a kid, the Yule Log remains a big part of my Christmas experience. Inspired by a Coca-Cola commercial, WPIX president Fred M. “Flame” Thrower (okay, I added the “flame” nickname) decided to give New York City apartment dwellers the gift of a fireplace. It was originally broadcast on Christmas Eve instead of a scheduled roller derby program. The rug was valued at $4000 in 1966 which adjusted, is the same $28,773.95 of ad revenue that was lost by the station. John Lindsay was mayor at the time. With the 15mm film deteriorating after just 3 years, a new loop was filmed in 1970 that lasted approximately 6 minutes. After the mayor was unreceptive to do a reshoot (see fact #3 above), WPIX chose a California home due to its similar andiron (the fire wood holder thingy). WPIX General Manager Michael Eigner (aka Frank Shirley) decided to cancel the program in 1990 due to its lack of ad revenue. Many viewers protested the decision and exclaimed (in essence) “of all the cheap lousy ways to save a buck”. Joseph Malzone created the site, now named TheYuleLog.com and currently administered by Lawrence F. “Chip” Arcuri (not recommended for “dial up users”) (their words). During a local radio interview announcing its return, WPIX VP/General Manager Betty Berlamino explained that viewers needed “comfort food TV” after the terrorist attacks of 9/11. 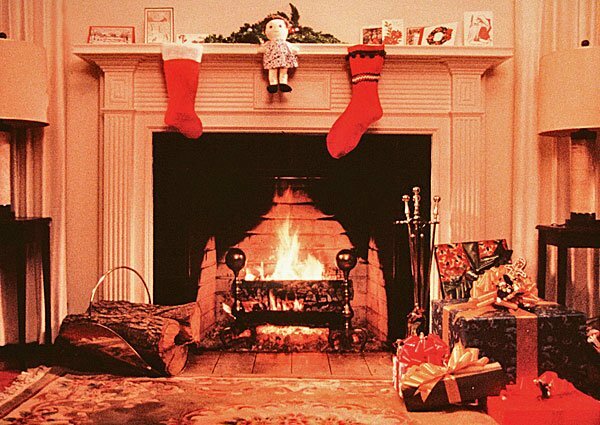 The Yule Log’s triumphant return on Christmas day in 2001 attracted 611,000 viewers in New York City, which was 80,000 more than ABC’s Good Morning America. Program Director Julie O’Neil found the reel labeled as the A Dog’s Life episode, which is why the 40th anniversary Yule Log documentary film is titled A Log’s Life. 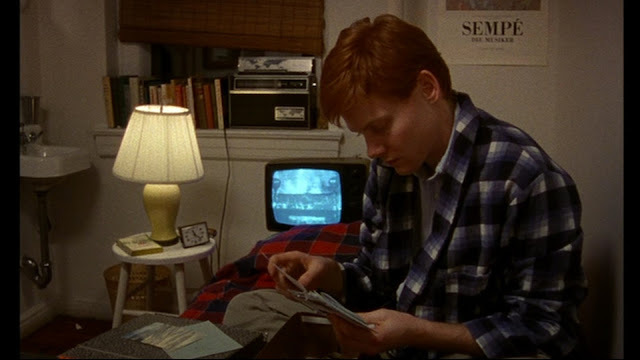 The Oscar-nominated film Metropolitan featured a New Yorker watching The Yule Log program on his TV. Chicago’s WGN became the first station to broadcast the program nationally. In 2008, WGN broadcast its own version of the program but decided to change back to the WPIX version the next year. The new 4th hour included 23 new songs by 9 artists. 7 of the artists had never appeared before on the broadcast, one of which amazingly was Bing Crosby. 102 WPIX-FM was the broadcast affiliate. Applegate Organic and Natural Meats hosts a 31 minute video of bacon cooking on a cast iron skillet over a fireplace. Follow @PIXYULELOG for official WPIX Yule Log tweets. In the 45-minute video, the actor sits comfortably in front of a fireplace drinking without saying a word. 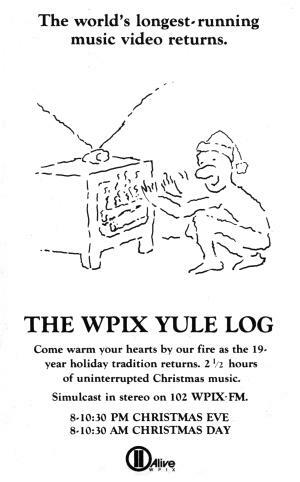 For us plasma pyromaniacs, WPIX continues the tradition to this day by airing the original program on Christmas Eve and Christmas day. For a complete listing, visit TheYuleLog.com website. And for those of us who can’t wait or live outside of the WPIX area, you can stream the Fireplace for Your Home knock-off on Netflix or tune in to the Antenna TV channel on Christmas Day.